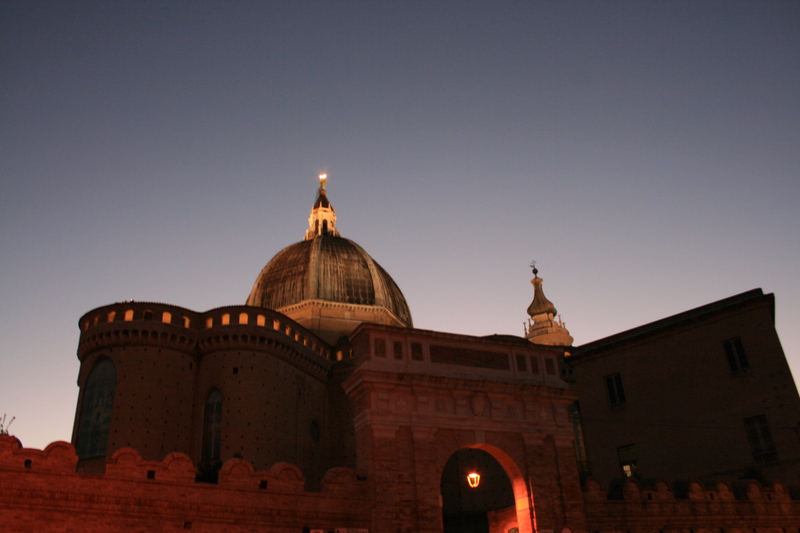 A magnificent glowing dome protected by high walls perched atop an olive grove hill. Intriguing enough for anyone who does not know its unique history. 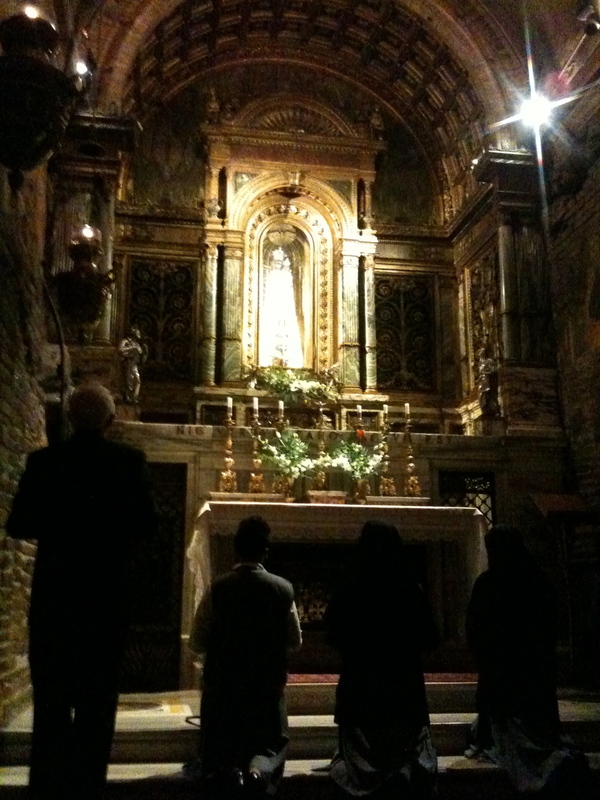 For those who do, it is a pilgrimage sight for those seeking the alleged home of the Virgin Mary. Regardless of your religious preferences, Loreto will entrance you. In the town center, you will be met by countless stands and stores filled with Virgin Mary nicknacks in all shapes and sizes. Many have replicas of the beautiful black and gold statue of the Virgin Mary that resides within the Holy House of the Virgin Mary. This building is actually sheltered within the Basillica della Santa Casa. 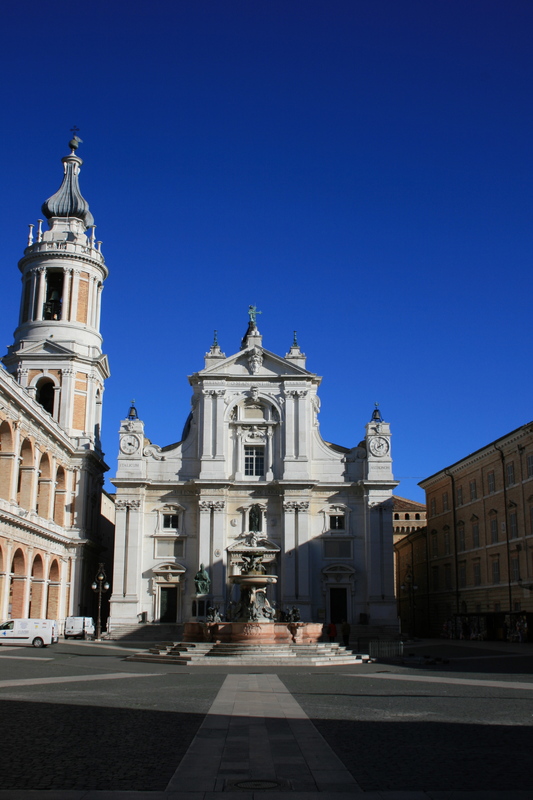 The upper floor of the Apostolic Palace (next to the basilica) is where Loreto keeps its treasures. Large frescos taken from the alter of the basilica, ancient pottery from the Holy House apothecary, raphaelesque tapestries, and prototype Virgin Mary shrine statues. 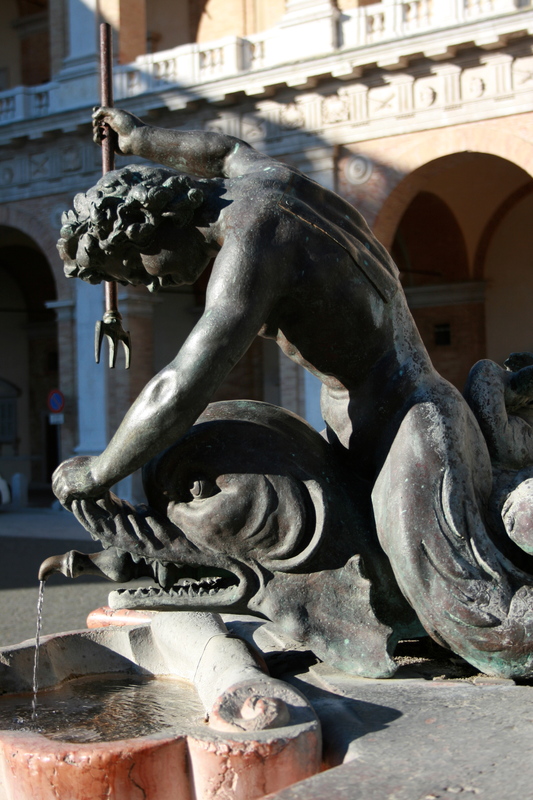 The fountains and statues outside of the basilica are also a sight to see. 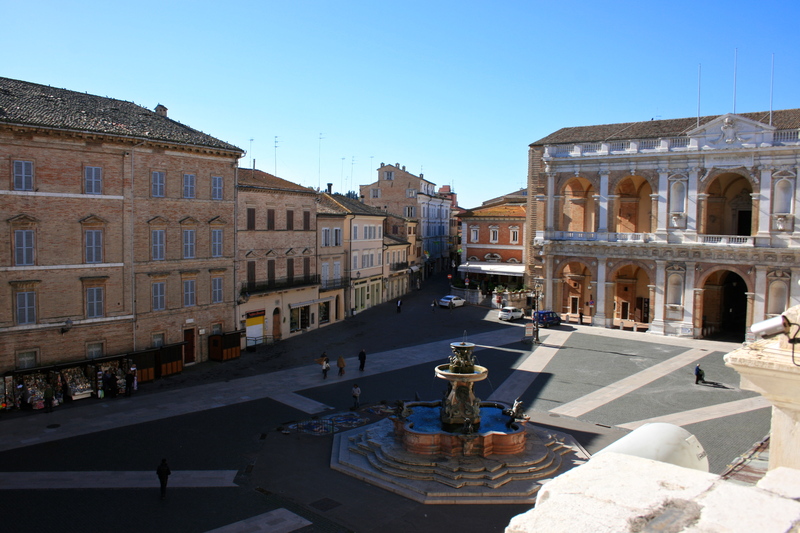 One of the most intriguing is the fountain centered in the Piazza della Madonna. 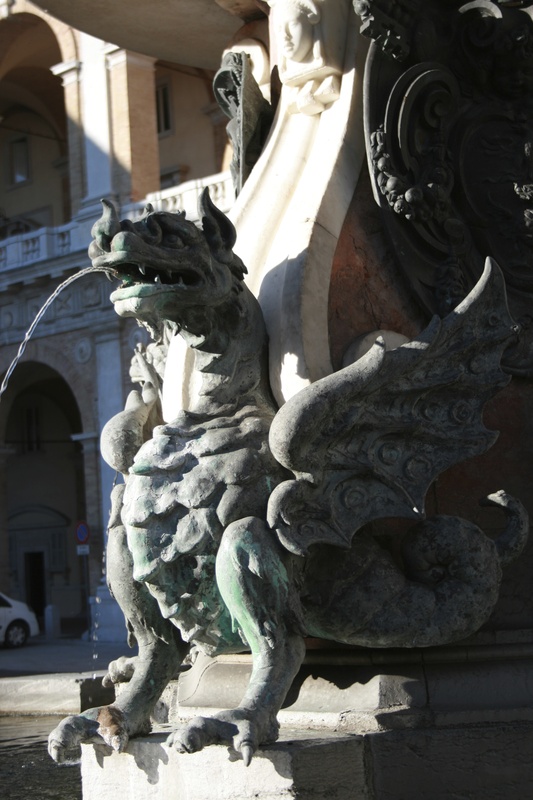 Its detailed bronze dragons and violent mermen create a striking contrast against the white geometry of the piazza and elegant facade of the basilica. Sadly, Loreto is not very dog friendly. Dogs are not allowed within any of the historic buildings. All hotels close to the Basillica della Santa Casa do not accept large dogs. Although a select few will allow a small pet. I suggest pet owners seek accommodations in Ancona.